Made some resolutions to get or stay in shape for the New Year? 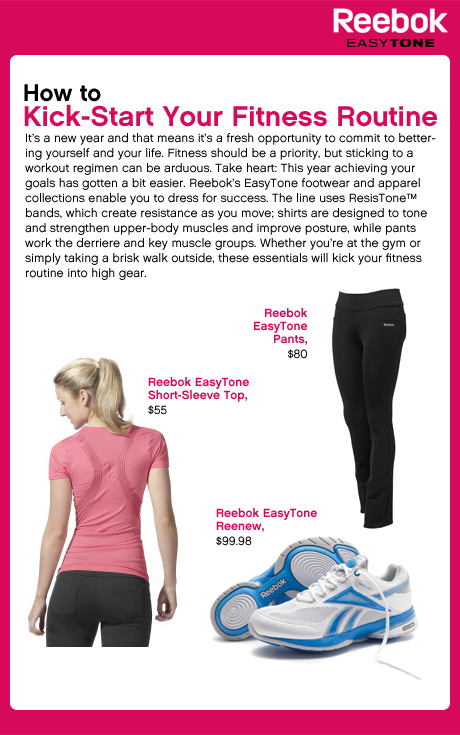 Let Reebok EasyTone footwear and apparel help you kick-start your fitness routine! Click the image for more info.